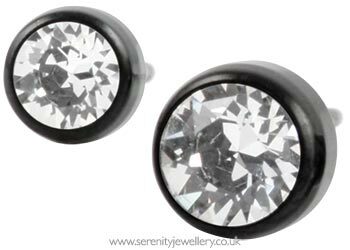 Hypoallergenic black titanium stud earrings inset with Swarovski crystals with titanium butterfly backs. 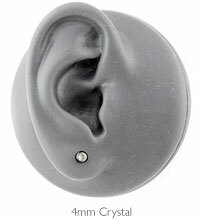 Really thrilled with these earrings. They look expensive and far better than the online image. I can only wear titanium and these are incredibly comfortable. Prompt delivery too which was a bonus. No problems, no issues, good looking, a great gift as intended.